The Mark Yaletown Condo Features Released! Here is an update on the new pre-construction Vancouver condos for sale at The Mark Yaletown by Onni Developers. As with all Onni condo developments, the standard features and building amenities are superb. The Yaletown condo finishes include such things as high efficiency Energy Star front loading washer and dryer, lots of in suite storage, oversized closets and flat panel doors with wire shelving systems in closets. Also, the pre-construction Vancouver Yaletown Mark condos will also feature such things as berber style stain resistant carpeting with walk in closts, premium wide plank engineered hardwood flooring throughout the kitchen, storage areas, entry and living spaces. The colour schemes are inviting and warm and there are multlple outlets for high speed internet, flat contemporary baseboards and door casings and contemporary brushed chrome door hardware. The kitchens at the presale Yaletown Mark Vancouver condos for sale will feature such things as over height tiled backsplashes, stainless steel zero radius under mount sink, polished chrome kitchen faucet with vegetable spray, custom flat panel cabinetry, stainless steel hardware and solid composite stone counter tops. Other kitchen features at The Mark Yaletown condos include a compact European appliance set (there are two depending on the floor plan you decide on). The bathrooms at the downtown Vancouver condos for sale include twelve by sixteen imported porcelain tiling, oversized mirror with contemporary light fixture, polished chrome bathroom accessories, linear style deep soaker tub, framed glass shower enclosure with wall tiling, under mount wash basin and solid stone countertops with walnut wood veneer cabinetry. All homes here at the presale Vancouver The Mark Yaletown condos have pre wiring for in suite security systems, solid wood suite entry door, electronic key fob entry, underground parking and restricted floor access. This iconic architecture of a landmark Yaletown condo tower is designed by award winning Hotson Bakker Boniface Haden and is designed to meet the most strigent LEED Gold standards in construction and sustainability. In addition, all homes here at the downtown Vancouver Mark Condos in Yaletown real estate market will have air conditioning and heating system and will be built with engineered concrete construction with modern Rainscreen building technology for your peace of mind. There are three high speed elevators in addition to open air balconies and roof decks in most floor plans here at The Mark Yaletown condos for sale. In addition, these pre-construction downtown Vancouver condos will have acoustically engineered floor to ceiling windows with sound buffer and community amenity space that includes a childcare facility and offices for the Vancouver Society of Children’s Centers. All homebuyers will also receive the comprehensive two-five-ten year Home Warranty. In addition purchases at the pre-construction Vancouver Mark Yaletown condos for sale will have service from Onni’s courteous and mobile customer car technicians during your first year in your new home. The amazing Yaletown Vancouver real estate location of The Mark Condos is one of the best selling features of this extraordinary condo tower. The Mark Vancouver condos is the apex of a life fully lived, connected to every cosmo convenience. From the False Creek Yacht Club to English Bay and from Quayside Marina to Stanley Park, the Vancouver Mark condominiums are located centrally to everything you want to experience. Try DubLi Auctions and DubLi.com Shopping Mall for Free! Get 10 Free DubLi Credits just by signing-up for a free membership today on the Buzz! The downtown Vancouver Mark Condos will feature over ten thousand square feet of amenity space that includes a meeting room, theatre or screening room and a large lounge and entertainment area. In addition, the downtown Vancouver Mark Wellness Centre will feature a games room, private dining hall with professional kitchen as well as steam and sauna room. Other features of The Mark Wellness Centre inclues an eight hundred square foot yoga and dance studio and a fully equipped fitness centre with state of the art cardio equipment, free weights and a stretching centre. The Mark Condos in Yaletown Vancouver real estate market place commands endless vistas of one of the world’s most enviable urban horizons. Personal panoramas offer centre stage views over glimmering waters, city and mountain silhouettes that transform into a varyin canvas of majestic backdrops from daybreak to sunset. Enjoy the incredible views of the stars, sun and air, which gives you a fresh urban perspective to what’s above and beyond, right here at the pre-construction Yaletown Mark Vancouver condos for sale. Iconic landmark condo towers in Vancouver are hard to come by. With most high-rise condominiums being somewhat cookie-cutter in design and architecture, here comes the most celebrated and unique Yaletown condo high-rise development, The Mark Vancouver. Presented by Onni, these pre-construction Vancouver Mark Yaletown condos are prestigious, luxurious and well finished in every way. Affordable condo living is still available in this most sought after Yaletown Vancouver downtown real estate district, as the empty parcels of land for new development are now quickly becoming new projects. One of the last developable pieces of land, the landmark Yaletown Mark condos are now being presold to eager homebuyers at affordable presale rates. From twenty four hour concierge to hot tubs and a rooftop pool, the Mark Yaletown condos for sale definitely have everything going for them. In a recent showcase in the Vancouver New Home Buyers’ Guide, it is also noted that the spacious floorplans are much larger than regular downtown Vancouver condominium layouts. In addition, the living spaces extend outward onto spacious decks and balconies, so that you can enjoy all the outdoor entertainment space available to you. Onni Group is proud to present the pre-construction Vancouver Mark Yaletown condo twoer and this masterpiece will eventually rise 41 stories into the skyline. This iconic architectural masterpiece will soon become Vancoouver real estate’s landmark tower. The airy cityhomes are very unique (the low-rise section of the development), while the high-rise condo tower also presents intimate living spaces that are bright, airy and very well sound proofed. With floorplans much larger than typical new Yaletown condos for sale, the Mark Vancouver also features a ten thousand sf Wellness Centre that will be the hub of all the amenities on site. The downtown Vancouver Yaletown lifestyle is much sought after by locals and international people moving into the city. Style, boutiques, high-end restaurants, funky bistros, nightlife and entertainment are just some things that the area presents to its residents. With compact Euro style cabinetry and appliances plus full sized centre islands and composite stone counters, every detail has been carefully planned and designed here at the landmark Yaletown Mark condos for sale. Not only that, but this new Vancouver real estate development will eventually become LEED Gold certified as well, making it the greenest condominium tower in the city. 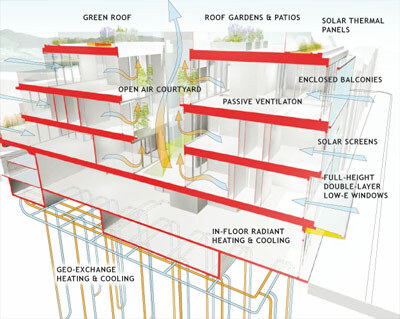 Self irrigation, water and energy efficient plumbing features and appliances in addition to roof top solar panels are just some LEED Gold certified features that make this a healthier living space for you. The Mark Yaletown condos for sale is currently offering pre-construction Vancouver condos for sale ranging from 1 to 2 bedroom plus flex suites. The Mark Yaletown presentation centre is also open from noon to six except closed on Fridays at 1035 Seymour Street, Vancouver. Please join us for our GRAND OPENING of Spirit at UBC Vancouver real estate development launch Saturday, February 6 at 12noon. You're invited! As a preferred VIP Registrant, please join us February 6th for the highly anticipated Wesbbrook Village UBC Spirit Condos Grand Opening and public release of selected homes at Spirit. Enjoy authentic B.C. wine and asian-inspired hors d'oeuvres - West Coast Style - while you are here! 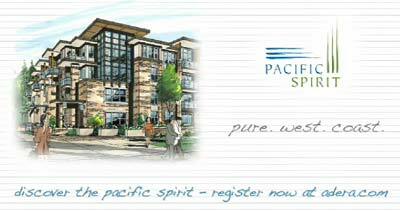 Pacific Wesbrook Village Condos, the sister building to Spirit UBC Condominiums, was hugely successful and, due to the overwhelming interest since we started to preview in January, we anticipate that Spirit will follow in its successful footsteps. The Vancouver Spirit Condos for sale is located in UBC's Wesbrook Village, a brand new vibrant urban core with everything that you can imagine. Take advantage of the best that education has to offer at UBC from the Wesbrook Village Spirit UBC condos for sale, University Hill Elementary and High Schools; everyday conveniences at your doorstep with Save-On-Foods, Blenz and a variety of recreational facilities; value and quality construction by one of the leaders in Vancouver residential real estate development in Vancouver backed by local, national and international recognition. Visit the Wesbrook Village Spirit Vancouver Condos Sales Presentation Center today for an advance preview. Best Regards, Linda, Spirit at Wesbrook Village Condo Sales Manager | 604.221.8878 | pacificspirit@adera.com - Sales Presentation Center at the UBC Spirit Condos is located at 120-5928 Birney Ave, Vancouver and is open daily noon-5pm. Want to Stop Renting? We have an Idea! Renting in Vancouver real estate market is fraught with problems – iffy landlords, “No Pets” policies, and the biggest of them all: no home equity in your future. However, we understand it's tough to save for a down payment on top of pricey monthly rent, so we're offering Vancouver Rent-to-Own Condos at Ginger Chinatown development. This is how it works here at the Ginger Vancouver rent to own condos (it's really easy, promise): 1) Choose one of 20 outstanding new Vancouver homes at Ginger (all under $400,000). 2) Pay a deposit of 2.5% of the purchase price within seven days of writing a contract. This money goes into a lawyer's trust account for your Ginger Vancouver rent to own condo. If you are short on this deposit, perhaps a line of credit with the bank. 3) Move in! 4) Pay us “rent” for six months. This is held in the same trust account as your initial deposit and will be applied to your Vancouver rent to own Ginger condo purchase at the end of the term. 5) Take ownership after six months. Your initial deposit plus the “rent” you've been paying into trust will become the 5% (or more) you need to obtain a mortgage on your own for a full ownership of a downtown Vancouver Ginger condo suite. In essence, this means we're allowing you to live for free in your own new Vancouver home for six months while you save up your down payment through this new Vancouver rent to own condo program. Nice! Call us today at 604-688-5005 or come down to the Ginger Sales Centre (718 Main Street) between 12 and 5 pm. We can show you every available suite and you could be moving in … well, by tomorrow! Got boxes? Another signature condominium residence in the heart of the downtown Vancouver real estate district is now upon us. Brought to you by James Schouw & Associates, the luxury Vancouver Artemisia Condominium Residences is a form of habitable art that will become an instant landmark in the downtown Vancouver real estate market place. Designed for discerning home buyers, the luxury Artemisia Vancouver homes for sale is a boutique collection of only twenty one (21) magnificent presale condominium residences by James Schouw & Associates, well known for their Yaletown Grace Residences that offers unparalleled urban living spaces in this beautiful city. The presale Vancouver Artemisia condominium residences is presented in collaboration between James Schouw & Associates and local/international artists as a one of a kind habitable art installation in the heart of the downtown Vancouver real estate district. The inspiration of these luxury Vancouver homes is Artemisia Gentileschi, an early Baroque Italian painter who is now recognized as one of the most accomplished painters ever. She was one of the most inspirational women in her time and some of Artemisia’s work included both historical and religious themes that were beyond the women’s reach back then. Artemisia was the first female painter to become a member of the first drawing academy in Europe at the Accademia di Arte del Disegno in Florence, Italy. According to their marketing, Artemisia Vancouver condominium residences will expand the unique architectural texture that previous James Schouw & Associates projects have introduced to Vancouver. By beginning with a clean sheet of paper, the luxury Vancouver Artemisia condominium residences must be truly exemplary and never to be duplicated again. The spaces at the presale Artemisia luxury Vancouver homes for sale are unlike any other on the market. From internal angles, volumes, curves and circulation patterns, these features at the pre-construction Vancouver Artemisia luxury condominiums throw the status quo out of the window right from the get go. Some of the exceptional features that James Schouw & Associates are incorporating into these luxury Vancouver homes for sale at the Artemisia Condominium Residences include very high ceiling heights, huge structural spans and extraordinary demising wall systems. In addition, other features of the luxury Vancouver Artemisia condos for sale include expansive conservatory building envelope and window systems that give it that iconic landmark look and feel. Most homes leave a lot of room for improvement. Completely rethink internal circulation and sight lines here at Artemisia Vancouver. The extraordinary three dimensional free form entry will be a surprise this side of Gandi’s Barcelona. Here at the presale Vancouver luxury homes at Artemisia Condominiums, you will find an entry through massive custom wood/glass doors in addition to a granite base continuous with the foundation detail, free form mosaic floor detailing, semi circular vaulted ceilings with apex height varying. Attention to every detail is the work of James Schouw & Associates, and here at the Artemisia Vancouver luxury condos for sale, you will find very special mouldings, fittings, floors, doors and glass in addition to flat screen television monitors integrated into bathroom mirrors. Other impressive high-end features at the downtown Vancouver Artemisia Condos for sale include a warranty case by Louis Vuitton, access to chauffeur driven Rolls Royce Phantom and much more. 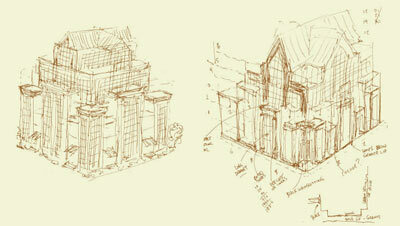 Look beyond conventional design and construction as there is so much freedom for imagination. Showers, for example: Rather than built up curbs around each shower, thick structural slabs allow for recessed showers, dropped slightly below the floor level here at the downtown Vancouver Artemisia luxury condos for sale. Better design, better sense of space, better durability and easier cleaning and maintenance are the results of this well thought out design process by James Schouw & Associates. Some of the luxury Vancouver condominium residences feature floor to ceiling glass that are almost thirty feet high. 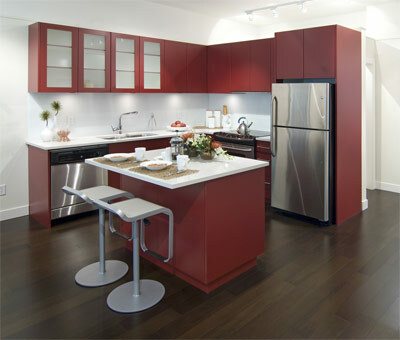 When designing and integrating the kitchens at the Artemisia Vancouver, the designer never lost sight of function. But forget the aesthetic balance of the last hundred kitchens you have seen and visualize a sculptural piece, then develop from there. If a kitchen were a piece of art or furniture, what would it look like? Find out here at the James Schouw Artemisia Vancouver condominiums. James Schouw & Associates was the first developer and designer to bring energy savings technology to Vancouver high-rise construction. Now, here at the Artemisia Vancouver condominiums, homebuyers can expect to find an impressive geothermal heating and cooling system in every home. In fact, many other features have been designed to reduce the short and long term environmental impact on the community. With high efficiency plumbing systems, fixtures, appliances and lighting, induction cooking, rainwater collection for irrigation and low volatility paint, flooring and finishing material, James Schouw & Associates have ensured the homebuyer that the downtown Vancouver Artemisia Condominiums are certainly environmentally friendly. You also add in the facts that there is construction waste management, the presale luxury Vancouver homes at The Artemisia condos are designed, engineered, and specifically constructed for permanence so that many generations of capital appreciation and contribution to the character of the city can be promoted. Another unique feature at the luxury Vancouver homes is biometric security. Convenient, safe and reliable, there are no keys, cards or fobs to carry, misplace or lose track of here at the Artemisia Vancouver condominiums for sale. Proven in military, government and financial installations and introduced to condominium applications by James Schouw & Associates, biometric security will simplify your life. 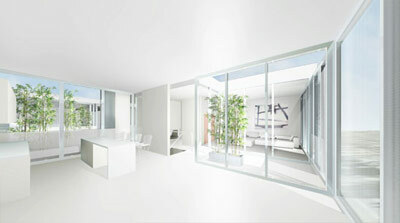 The presale Vancouver Artemisia condos will integrate a permanent collection of local and international art works. This is truly habitable art, as never seen before. Artemisia Vancouver Condos will stand at the intersection of Hornby and Helmcken Streets in the heart of the downtown Vancouver real estate district. Along Hornby Street, Artemisia Vancouver condo residences can enjoy the Bacchus Restaurant and Piano Lounge, Future Murray Hotel restoration, Arthur Erickson’s Law Courts, Granville Island ferry, Waterfront Centre, Vancouver Club, Terminal City Club, Cathedral Place, Il Giardino Ristorante, Hy’s Encore, Wedgewood Hotel, Hotel Vancouver and the Vancouver Art Gallery. Along Helmcken Street, the Artemisia Vancouver condo homebuyers can enjoy one of only two non arterial downtown cross streets. The future Helmcken Street Greenway will have flora and boulevards to invite pedestrians and cyclists. So why Vancouver? Vancouver real estate needn’t be complicated. Greater Vancouver’s population quietly grows by about 50,000 a year. We need homes for 1,000 more every week and meeting that demand will be an increasing challenge. James Schouw & Associates is committed to advancing the character and liveability of Vancouver. Witness Grace Residences, best high-rise in BC – 2008 Canadian Home Builders’ Association Georgie Awards. For more information about Artemisia Vancouver Condos, please call Virani Real Estate Advisors, the exclusive sales and marketing team at 604.913.1000. He’s calling his latest Artemisia. James Schouw and associates is a developer with a capacity to add to a prominent property building and homes of commensurate prominence. His Artemisia project will rise at Hornby and Helmcken in downtown Vancouver real estate market. 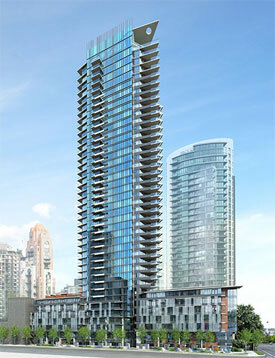 Now selling with prices starting from just $595,000 are the new Kitsilano Monad Condos in Vancouver real estate market. Built and designed by Intelligent City, a boutique builder, the new Vancouver Monad condos are located in the trendy and hip Kits area. Four outstanding contemporary designed urban Vancouver homes for sale by Governor General’s Medal winner LWPAC offers thirty three feet wide floor to ceiling window walls and many high end features. These Intelligent City Monad Condos in Kits Vancouver real estate market features interiors that include integrated kitchen and bathroom designs with polished concrete or natural basalt stone flooring with in floor radiant heating and options to customize your personal space by working directly with the developer. In addition, the Kits Monad Condos in Vancouver will feature geothermal exchange solar hot water system for both heating and cooling throughout the year. Other sustainable environmental features here at the Kitsilano Vancouver Monad Condos by Intelligent City includes green roof gardens and solar screens. This is the latest in sustainable Vancouver condo living! The Monad by Intelligent City new Kits condos are located at 3351 West 4th Avenue, Vancouver and you can call Alanna at 604.836.8212 for more information today. Featuring a superb location in Kitsilano, the Monad Vancouver condos for sale are north of Fourth Avenue across from the beautiful McBride Park and just steps away from the beach and water. Unsurpassed panoramic views north and south are also available in select units here at the Kits Monad Vancouver condos for sale. Monad Condominiums are brought to you by Intelligent City developers, Trasolini Chetner Construction and award winning architecture firm Lang Wilson Practise in Architecture Culture. Next generation EcoDensity contemporary courtyard design with outstanding liveability can now be yours here at the new Kitsilano Vancouver Monad condos for sale. All apartment units will feature: outstanding contemporary design by Governor General’s Medal winner LWPAC; all units have thirty three foot side floor to ceiling window front as well as an additional 18 feet of windows facing the courtyard, nine to ten foot ceiling heights, spacious outdoor patios for entertaining friends and family and roof top decks with great views ranging from two hundred square feet to over four hundred and sixty sq ft. In addition, each of the four luxury Vancouver Monad condos will feature great privacy with only a few boutique units for sale and no more than one direct neighbour. 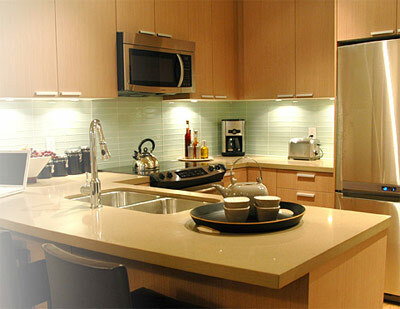 Quality construction at the luxury Vancouver Kits Monad Condos will allow you to rest easily. Fully engineered high quality and sustainable construction with concrete construction for basement and entry levels at the new Monad Kitsilano condos for sale and controlled architectural systems assembly (CASA) for residential units above will ensure security, peace and quiet. In addition, Monad Vancouver condos will be the first project in the city to offer optional secondary suites fro Unit 202 and PH2. These Monad Kits condo units can be rented out, serve as a mortgage helper or let a family member be close but in their own unit. The secondary suites here at the luxury Vancouver Kits condos for sale will be around three hundred and eight square feet junior one bedroom floor plans. In terms of customization for the Vancouver homebuyer, buy what you need and not what is prescribed here at Monad Kits condos for sale. 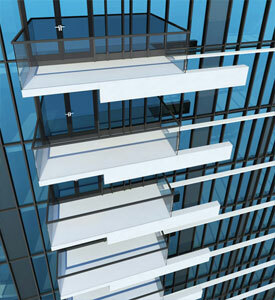 Intelligent City welcomes customization of your new home. They will actually work with you to determine the best layouts for the highly flexible spaces. Need lots of storage or a wine cellar? Each presale Vancouver luxury home at Monad Kits real estate development will come with fifty square foot storage spaces in the basement and you can also purchase an addition 200 square foot storage room that has easy elevator access for even more storage on site. There is a hydraulic elevator that will connect all levels of the Monad Vancouver luxury homes for sale and it also provides a window into the vertical courtyard garden. As for sustainability, the Kitsilano Monad Vancouver luxury condos for sale will have future proof super efficiency “passive” design with no on site fossil fuels at all and substantial reduction in carbon dioxide emissions to comply with LEED Gold and Passive House overall energy consumption. This is one of very few luxury Vancouver real estate developments that is adhering to the strict guidelines of LEED Gold certification. An intimate, boutique Kits condominium development is about to redefine exclusive living in Vancouver’s ever popular Kitsilano real estate neighbourhood. Just four residential units above ground level retail, the luxury Vancouver Monad condominums in Kits boasts thirty three foot floor to ceiling window fronts and an additional eighteen feet of windows facing the courtyard, outdoor patios and roof top decks that range in size from two hundred to over one thousand square feet. These presale luxury Vancouver condos at the Kits Monad real estate development feature a host of leading edge environmental features that include geo-exchange heating, solarhot water, courtyard designs for maximum daylight and natural cross ventilation. Not only that, but these luxury Kits Monad Vancouver condominiums also feature electric vehicle outlets in the parking stalls. Great opportunities are available at the presale Kits luxury Vancouver Monad condos and you can also customize your suite right now during the pre-construction phase. 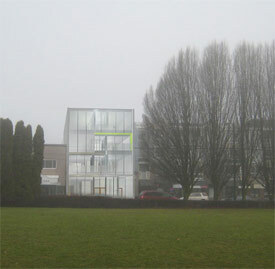 Monad Kits real estate development is located at 3351 West Fourth Avenue in Vancouver’s Kitsilano district. You can pre register online at www.intelligentcity.com today for more information about these luxury Kits condos at Monad. Monad luxury Vancouver homes for sale will feature beautiful, integrated, simple kitchens and bathroom designs with a choice of appliance packages, polished concrete or natural basalt stone flooring with in floor radiant heating to start off with. In addition, homebuyers can expect to find ceiling heights up to three metres or ten feet in the main living areas and up to eight feet three inches in all bedrooms. The luxury Monad Vancouver Kits condos for sale will also feature high quality windows and sliders in wood and/or aluminum with low E glazing in addition to private terraces and patios. There are conduits for home entertainment systems, quiet bedrooms with courtyard or lane orientation, two side orientation with cross ventilation and ample natural light too. The luxury Vancouver homes at Monad Kitsilano by Intelligent City will also have adaptable unit layouts for multiple live and work scenarios, and two of the units will have optional secondary suites for mortgage helpers. The appliances by Bosch and KitchenAid are standard and the penthouse unit at Monad Vancouver luxury homes for sale will feature a SubZero fridge. The unique development will be pre-fabricated off site using controlled architectural systems (CASA) to improve both durability and resource efficiency. The building will have at least LEED Silver designation and it is hoping for LEED Gold certification. In addition, the luxury Kits Monad Vancouver condos will have a geo exchange (ground source heat pump) system, solar hot water, and passive solar sliding screens towards 4th Avenue. Other building features at the Monad luxury Vancouver homes for sale include a common courtyard with planting above the CRU, storage, two bike lockers per unit, mechanical parking system and an elevator. 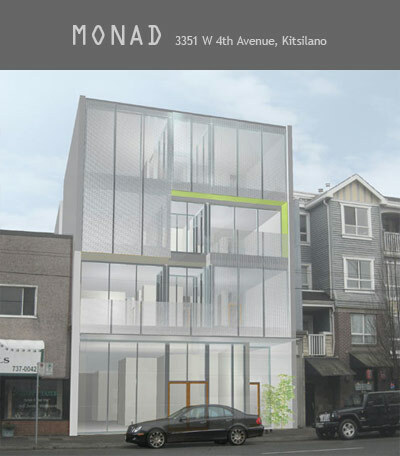 The Monad Kits real estate development will also offer one prime commercial unit of 2038 sf with over twenty seven feet of window front and over thirteen foot high ceilings. Unit 201 at the Monad Vancouver luxury condos is a three bedroom residence floor plan that features 1356 square feet of living space and 566 sf of outdoor spaces. This is a bright and spacious, family size, three bedroom Monad Kits condo unit. This luxury Vancouver condo for sale features a private courtyard patio, generous enclosed balcony, and a four hundred and sixty square foot patio with views to the North Shore mountains, with an optional hot tub built in flush with the deck. Unit 202 at the luxury Vancouver Monad homes for sale is a two bedroom residence at 893 square feet and with 120 outdoor living spaces. This two bedroom unit features a private courtyard patio and south facing enclosed balcony and deck overlooking Mcbride Park, and also a private mini-courtyard. The luxury Monad Kitsilano condo for sale can be configured to be as spacious as a one bedroom with a large living/studio space if you like. The two level Monad penthouse suite features a total size of 1712 square feet. Three bedroom layout that has a 462 sq ft roof deck with panoramic 360 degree views to the North Shore mountains, McBride Park and downtown Vancouver, this luxury Vancouver condo at Monad Kitsilano features an optional secondary suite as well. Last but not least is the two floor Kitsilano penthouse suite that features a two bedroom plus family room OR 3 bedroom layout over seventeen hundred and twelve square feet. 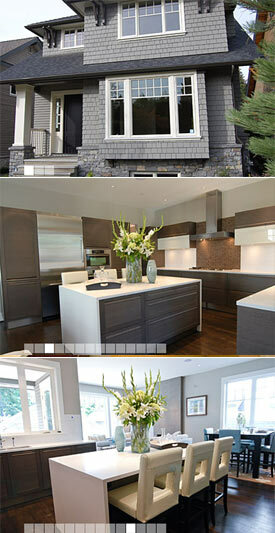 The Prestigious Kerrisdale Homes at the Vancouver Stone Residences Now Released! 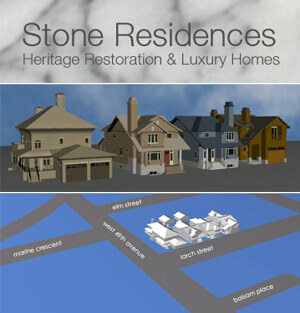 The new heritage restoration and luxury homes featured at the Vancouver Stone Residences are finally here. After a painstakingly rewarding challenge of a five star restoration project in the prestigious Kerrisdale real estate district, these new Vancouver homes for sale feature artistic craftsmanship, modern finishes and spacious living. There are a total of four homes available for sale here at the Stone Residences of Vancouver and all of them are located on Larch Street. Brought to the market place by Really Smart Homes, this luxury Kerrisdale Vancouver homes at the Stone Residences are the result of careful planning and design by the builders’ two principles: Trevor Rennie and John Dean. Really Smart Homes is now launching these truly progressive homes in the most historic and idyllic neighbourhoods in the city. The Kerrisdale Stone Residences Vancouver homes for sale feature Macdonald Realty as the sales and marketing team, Donald Luxton and Associates as the heritage consultant, Bernard Decosse Architect Inc, D Mclean Construction and Smith & Co structural engineer. In addition, these prestigious new Vancouver Kerrisdale Homes for sale at Stone Residences real estate development features The Spotted Frog home staging, Viewpoint Landscape Architects, Gannon Ross Designs (interior design) and Margot Richards Design as the lighting consultant. Located in the peaceful and established neighbourhood of Kerrisdale Vancouver real estate community, the Stone Residences homes for sale are located along West 49th Avenue between Elm Street and Larch Street. 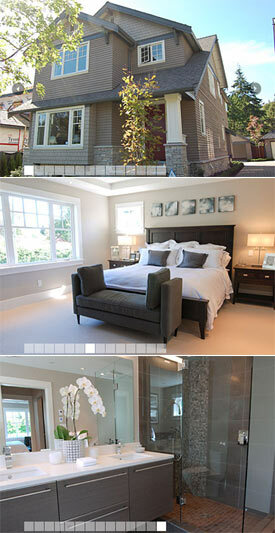 As the marketing says, the luxury Vancouver Stone Residences feature luxurious finishes and comfortable interiors. Some of the features listed in their marketing brochure include the following: sound insulated walls, solid edge grain, rift cut oak, site finished flooring, one hundred per cent wool carpeting with jute backing by Fintex as well as interior and exterior step lighting. Also featured at the is prestigious Kerrisdale Stone Residences in Vancouver real estate market includes doorsets by Baldwin, three zone heating system with rough in for heat pump, AC, UV and HEPA filter from Airstream heating and air conditioning throughout the year for your comfort as well as a recreation room that is pre-wired for 5.1 home theatre. Other finishes include pre wiring for flat screen television in multiple rooms, front entry door video surveillance available, audio system installed throughout the entire house and SMART Home wiring by Orca for communications and networking. The luxury Vancouver homes for sale at the Kerrisdale Stone Residences also features Alzac halogen pot lighting by Lightolier, low E windows with clear view screens by Westeck and Solace high-end fireplaces by Kingsman. Other general features of note at the premier Kerrisdale landmark Vancouver Stone Residences includes Bosch full size washer and dryer in the in suite laundry room, central vac system Hide a Hose vacuum system on main floor, security system including carbon monoxide and glass break sensors in addition to interior door latches by Emtek. Premium protection for luxury Vancouver home buyers here at the Stone Residences of Kerrisdale will feature premium cedar exterior siding/shakes, solid stone exterior cladding from Adera Stone, wooden exterior and garage doors, 40 year asphalt RoofShake shingle roofs by IKO and the 2-5-10 year home warranty. The Kitchens and Bathrooms at the Luxury Kerrisdale Homes now Selling! The deluxe chef inspired kitchens of the luxury Kerrisdale Vancouver Stone Residences for sale include halogen flush mount under cabinet puck/task lighting, kitchen fixtures by high-end Blanco and AquaBrass, tiled and quartzite backsplashes in addition to custom kitchens by Meson’s of Italy with stained white oak with soft close drawers and cabinetry throughout. The kitchens at the luxury Stone residences at Kerrisdale Vancouver also features engineered quartzite counter tops, Miele integrated panel dishwasher with cutlery tray, hood exhaust fan, 36” integrated stainless steel panelled fridge/freezer, two ovens (convection and speed oven) and a 36” five burner gas cook top. There is a five year warranty on these Miele appliances too. The relaxing bathrooms at these luxury Vancouver homes for sale at the Stone Residences Kerrisdale will feature separate showers with frameless glass doors and water jets as well as a deep sixty six inch soaker tub in the master ensuite with surround deck. Also featured are vanity lighting by Eureka and Alico, fixtures by Toto, Duravit, Grohe and Fluid as well as heated tiled bathroom flooring by FLEXTHERM. The other notable features of the Stone Residences bathrooms in the Kerrisdale Vancouver luxury home market features engineered quartzite tops by Simply Stone in addition to custom vanities by Meson’s of Italy like the kitchen. The first of the three new luxury Vancouver homes for sale at the Stone Residences of Kerrisdale includes 6479 Larch Street that is listed at $2,750,000 and features a total square footage of 4,170 square feet. The next luxury Kerrisdale home for sale is at 6467 Larch Street Vancouver which is listed at $2,780,000 and features 4170 sf interior space as well. 6455 Larch Street, Vancouver Kerrisdale Stone Residence is listed at $2,850,000 and features a floor plan size of 3,906 square feet. The features at the luxury Heritage Vancouver House at the Stone Residences are slightly different from the other three homes for sale. The kitchens will have a thirty six inch six burner professional range by Thermador in addition to a Miele convection oven and Panasonic microwave. In addition, there will also be a 48” stainless steel fully integrated fridge and Thassus marble counter tops with tiled marble backsplash for an even higher end finish. The Stone Residences Kerrisdale Vancouver Heritage House will also feature a two person 72” free standing tub in the master bathroom. The Heritage House at the Kerrisdale Stone Residences is located at 6495 Larch Street, Vancouver real estate market and features a total floor area of 5,201 square feet. A Kerrisdale landmark building at the Vancouver Stone Residences are now here and offered at an outstanding price. Four classical and contemporary master pieces are now available to Vancouver homebuyers with quality of the highest degree. Elegance and technology coming together in these architectures splendours by ‘Really Smart Homes’ here at the new Vancouver Stone Residences in Kerrisdale real estate market place. This four thousand one hundred and seventy square foot wonder is now completely finished and we are excited to invite you to come visit this unique opportunity here at the Kerrisdale Stone Residences Vancouver home for sale. This particular unit at the Stone Residences is listed at $2.75M. For a private viewing of this luxury Kerrisdale home for sale, please contact Ken or Steven. Upon arrival, the stunning new Vancouver luxury homes at the Stone Residences will feature premier architecture that is heritage style and truly integrated with the neighbouring community. The interiors are incredibly designed and finished by Distinct Interiors and Gannon Ross Design while the lighting is prepared by Margot Richards Design. A premier Kerrisdale Vancouver real estate landmark is upon us. Designed by Bernard Decosse Architects with heritage consulting services by Donald Luxton & Associates, the Vancouver heritage restoration and luxury homes for sale are now launched by Macdonald Realty sales and marketing. A unique development of four luxurious homes that exemplify the very best of Westside living. 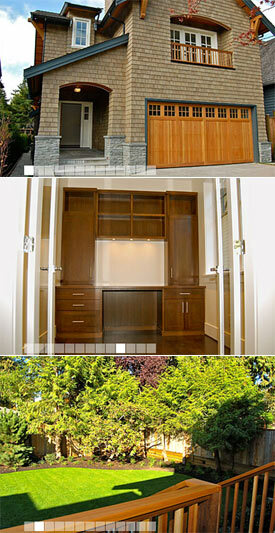 One grand heritage restoration and three brand new homes, located at the gateway to the heart of Kerrisdale. With one of these gorgeous homes being a complete heritage restoration, all four properties are truly of the highest quality in construction, workmanship and materials. Along with the superb location, one will notice the architecture that integrates with the neighbourhood, both seamlessly and beautifully. These four properties combine a comprehensive technological package with the warmth of beautiful custom-built craftsman homes on the Westside of Vancouver. The Stone Residences will become the benchmark that others strive for. For more details and information on the individual properties, please check the attached links. You may also contact one of the members of the Macdonald Realty sales team who will be pleased to arrange to meet with you in order to elaborate further on this special residential offering. Come home to Kerrisdale. Make the Stone Residences your very own. The Highly Anticipated Brentwood Burnaby Affinity Condos by BOSA - Endless Views at Unmatched Presale Pricing - New Burnaby Condos for Sale Now! Coming soon to the Brentwood Burnaby real estate community are the high-rise condo towers at Affinity by BOSA. Love where you live. Live at Bosa’s Affinity Burnaby Condos. Located in the established neighbourhood of Brentwood Burnaby real estate market comes an impressive condo development that features a great location, amazing shopping, eclectic dining stops and many community amenities and services. Being just two minutes away from the Brentwood SkyTrain station is also another key factor in choosing the Bosa Affinity Burnaby condos for sale. With exceptional Bosa quality, craftsmanship, attention to detail and construction processes, the pre-construction Burnaby Affinity Brentwood condos will be coming to the market in early 2010. You can even get to downtown Vancouver in less than twenty minutes, which is remarkably fast. The best property value is now here at the pre-construction Burnaby Affinity condo towers. This is where you belong. The Affinity Towers are built by Bosa Development Corp. Endless views from under $300,000 are available in this pre-construction Burnaby condo development close to the Skytrain. 63 Homes Sold Grand Opening Weekend at Affinity Burnaby! On March 20th, Affinity Burnaby Condos for sale opened its doors and received an overwhelming response. 63 homes were purchased during the grand opening weekend presale Burnaby condo event and the remaining homes are sure to be purchased at a rapid rate. There is still an excellent selection of homes available and we encourage you to hurry in to visit our presentation centre and make the new Burnaby Affinity condos your new home as well. These new Burnaby homes offer the ultimate in style and convenience and are sure to attract the most discerning purchasers. Thoughtful interiors designed by Cristina Oberti include open concept floor plans, granite countertops, and stainless steel appliances. Nearby shopping, schools, parks, transit and more, are but a few of the reasons that the Brentwood neighbourhood of North Burnaby real estate market place is becoming a choice destination for many Burnaby homeowners. Better yet, with a new Affinity Burnaby condo home built by trusted Bosa Development, you can rest assured that you are purchasing both quality and industry leading customer service, in a superior Brentwood location. We encourage you to once again visit the new Burnaby Affinity presentation centre as we would be happy to assist you with all of your questions. As a reminder, we are located at 5695 Lougheed Highway and are open daily from noon to 5pm (except fridays). Visit the Affinity Burnaby condo website online at www.affinitybybosa.com for more information. This spacious corner two bedroom and two bathroom Afffinity Burnaby home is a favorite of the entire Affinity sales team. We love the open concept layout that maximizes nearly 900 square feet of living space in this condominium at Affinity Burnaby. A few of our favorite features are: The living area is a massive 27 feet by 12 feet, perfect for entertaining and the separate bedrooms make it a great option for a young family or two singles. Some other incredible features at the Affinity Burnaby condos E floor plan are the expansive windows allow natural light and great views year round, generous balcony and sleek stainless steel appliances, granite countertops, and ample cabinet space that come standard with every home here. The pre-construction Burnaby Affinity condo E floor plan is priced from just $445,900 and is centrally located in the Brentwood community. Better yet, with a new Burnaby home built by trusted Bosa Development, you can rest assured that you are purchasing both quality and industry leading customer service, in a superior location. We encourage you to take another look at this outstanding new Affinity Burnaby condo home and look forward to seeing you again soon. The new BOSA Affinity Burnaby condo development is a master planned community that consists of the following housing types for sale: two residential condominium tower high-rises in the heart of Brentwood Burnaby real estate market, eight Affinity townhomes, two cityhomes and an excellent location! This is the newest BOSA Burnaby real estate development and from its contemporary architecture to its sumptuous and detailed interiors, homebuyers are in for a treat here! Modern interiors, light filled spaces and open, functional floor plans are keys to the success of the new Burnaby condos for sale at Affinity by BOSA Developers, who introduce West Coast living to the Brentwood real estate neighbourhood. Sophisticated kitchens will have stainless steel appliances, gadgets that every chef inspired homebuyer wants and granite counter tops. In the luxurious ensuite bathrooms here at the pre-construction Burnaby Affinity condos and townhomes for sale by BOSA Developers, home buyers will find such things as laminate hardwood, deep soaker tubs and bright spaces. There are soft carpets, graphite or wenge colour schemes that have been professionally chosen by Cristina Oberti as well as a wide range for studio to two bedroom plus den suites. From 430 to over 1800 square feet, there is certainly a floor plan available for every homebuyer here at the new Burnaby Affinity real estate development that also features condo suites, townhomes and cityhomes for sale. Many of these penthouse suites at Affinity Burnaby condo tower will have roof top decks with magnificent views. As far as the location is concerned, Burnaby homebuyers will be treated to a wealth of recreational options that include Trout Lake, Burnaby Lake and Deer Lake as well as many parks, mountain ranges, biking/hiking and walking paths as well as community centres. In addition, the Brentwood Affinity Burnaby condo development by BOSA Developers will also be very close to all the shopping that you want. Each of the two Affinity Burnaby condo towers will have their own amenity centres that include fitness gyms and clubhouse and there is over forty three thousand square feet of common green space for homebuyers to enjoy. The BOSA Affininty Burnaby condo VIP Preview Event is coming March 20th for Phase 1 presales, so make sure that you pre-register. The Burnaby Affinity presentation centre will inclue a model suite as well as interactive computer with interior colour palettes and three hundred and sixty degree interior views of every floor plan available including the Affinity Burnaby townhomes and cityhomes. The Affinity Presentation Centre will be located at 5695 Lougheed Highway, Burnaby at Holdom. VIP Previews at Burnaby Affinity Condo Tower! Priority Registrant Event is March 13th! Public Grand Opening follows on March 20th! ARRIVE EARLY TO AVOID BEING DISAPPOINTED – THE BRENTWOOD BURNABY AFFINITY CONDO'S PRIORITY REGISTRANT EVENT IS THIS SATURDAY! Don't miss out. The excitement continues to build as we rapidly approach our pre-construction Burnaby Affinity Condo Priority Registrant Event on March 13th, 2010 commencing at noon sharp. This will be your first opportunity to view the Brentwood Burnaby pre-construction condo sales office with fully furnished display home, and purchase your new home at Affinity Condo Towers by BOSA Developments in advance of the general public. Date: Saturday, March 13, 2010 from noon to 5pm at the Pre-Construction Affinity Burnaby Condo Presentation Centre: 5695 Lougheed Highway (corner of Lougheed and Holdom). The Brentwood Burnaby real estate neighbourhood is becoming a choice destination due to nearby shopping, schools, parks, transit and more. 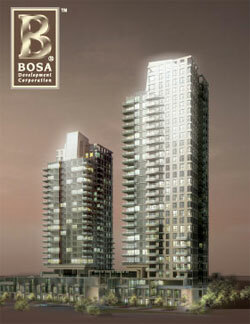 Find out more at the sales centre for the new BOSA Affinity Burnaby condo towers this weekend. With a selection of spacious Burnaby condo floorplans ranging in size from studios to two bedroom and dens, there is sure to be an Brentwood Affinity condominium home that fits your needs. Our website has recently been updated with a sample of pre-construction Burnaby Affinity floor plans, features, videos, recent articles and more. Visit us online at www.affinitybybosa.com at any time! Maureen, Affinity Presentation Centre at 5695 Lougheed Highway (at Holdom). As a valued registrant, we are thrilled to invite you to the Affinity Burnaby Condo Priority Registrant Event on March 13th commencing at noon sharp! This will be your first opportunity to view the sales centre featuring a fully furnished display suite, and purchase a new Burnaby home for sale at Affinity in advance of the general public. We encourage you to arrive early as this is sure to be a busy event. Date: March 13, 2010 from Noon to 5pm. Affinity Burnaby Condo Presentation Centre: 5695 Lougheed Highway, Burnaby (corner of Lougheed and Holdom). These new Burnaby homes for sale offer the ultimate in style and convenience and are sure to attract the most discerning purchasers. Thoughtful interiors designed by Cristina Oberti include open concept floor plans, granite countertops, and stainless steel appliances. Nearby shopping, schools, parks, transit and more, are but a few of the reasons that the Brentwood neighbourhood of North Burnaby real estate market at the Affinity condo towers is becoming a choice destination for many homeowners. With a selection of floor plans ranging in size from studios to two bedroom and dens, there is sure to be a new Burnaby Affinity condo home that fits your needs. Better yet, with a home built by trusted Bosa Development, you can rest assured that you are purchasing both quality and industry leading customer service, in a superior North Burnaby Brentwood real estate location. In the meantime, visit our website at www.affinitybybosa.com for a preview of our featured new Burnaby Affinity floor plans and the latest information on this exciting Brentwood condominium community by Bosa Development. We look forward to seeing you on the 13th at the priority VIP preview event at the Bosa Affinity Burnaby condo development! 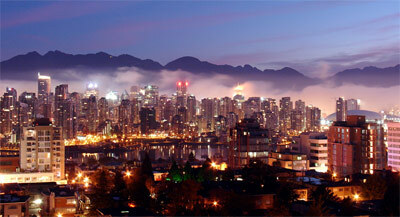 2010 is upon us, and this is a truly exciting time throughout all of British Columbia. We are thrilled to introduce Affinity Burnaby Condo Development (www.affinitybybosa.com), a collection of high-rise residences located in the Brentwood neighbourhood of North Burnaby real estate market and priced from under $300,000 at pre-construction condo pricing. As a priority registrant, you are invited to our VIP event that will be your first opportunity to purchase the homes at Affinity Burnaby condos for sale in advance of the general public. This means no long line-ups and first choice of your new Burnaby home. An invitation will be sent in the weeks ahead. Featuring expansive views, these homes offer the ultimate in style and convenience here at the new North Burnaby Affinity condos now previewing. Thoughtful interiors designed by Cristina Oberti include open concept condominium floorplans, granite countertops, and stainless steel appliances. Nearby shopping, schools, parks, transit and more, are but a few of the reasons that Brentwood is becoming a choice destination for many North Burnaby homeowners. And with a home built by trusted Bosa Development, you can rest assured that you are purchasing a quality new Burnaby home for sale, in a superior North Burnaby Brentwood real estate location. We are currently hard at work putting the finishing touches on our new Affinity Burnaby Condo sales centre scheduled to open this March 2010. Our updated Brentwood Burnaby condo real estate website is now live and a sample of the Affinity floorplans is posted for your review. We encourage you to visit us online for more information or you can contact us at affinity@bosadev.com. Sincerely, Bosa Development Corporation, The Affinity Burnaby Condo Sales Team. Presale Burnaby Affinity Condominium Tower Launching Soon! Just 2 minutes away from the Holdom Burnaby SkyTrain station, the new pre-construction Burnaby condos at Affinity Living by BOSA Developers will sure please those who take public transportation to and from downtown Vancouver and the Lower Mainland. With sweeping views in all directions, the landmark building at the Affinity Burnaby condo tower will take you to downtown Vancouver in a matter of a mere twenty minutes totay. Around the neighbourhood, you will find tonnes of local resturants, eateries, cafes, shopping, nature trails and schools for your kids. Not only that, but this new development in the Brentwood Burnaby real estate district is brought to you by one of the most respected as well as established builders in the Lower Mainland, BOSA Properties.. Eventually, the master plan for this Burnaby Affinity condo development calls for two condominium towers with a total of two hundred and ninety one units, many of which will be priced under $300,000, making them affordable in today’s market place. The two towers will be twenty nine and twenty four stories in height, and with more than thirty years of experience, the BOSA name is synonymous with high quality, awesome craftsmanship and excellent customer service. The views are just one feature of these high-rise Burnaby condos for sale. In addition, these pre-construction Burnaby Affinity condos for sale will be steps from the SkyTrain and Brentwood Mall in this revitalized neighbourhood that is safe and located close to all services. Many finishes in other developments that are customizations or added options are not here. They are actually included with every home purchase here at the pre-construction Burnaby Affinity condos. These features include such things as glass mosaic back splashes, Kohler plumbing features, stainless steel appliances as well as granite counters for kitchen lovers. The 291 total suites for sale at the Affinity by BOSA condo towers will come in a wide array of layouts starting with studios from four hundred and thirty square footage all the way to two bedroom plus den floor plans that are one thousand and eighty five square footage. The pre-construction Burnaby Affinity penthouse condos will range from a spacious fifteen hundred and sixty five to nineteen hundred and eighty five sq ft in size, providing sweeping panoramas of the city and beyond. For many homebuyers, the options of these floorplans is a key selling point, allowing singles and couples to purchase within the same development later on when they start having children. There are a handful of the presale Burnaby condos for sale that will be priced from the mid to high two hundred thousand dollar range, with many floorplans and suites available in the low $300s, making the Affinity Burnaby condos one of the most affordable in the Brentwood real estate district today. The added bonus of course is that these suites will be completely new, never been lived in condominiums for you to enjoy. Both of the Affinity Burnaby condo towers will have their own separate gym studios, gardens, putting greens, courtyard gardens (fully professionally landscaped) and lounges (with catering kitchens) that are exclusive to homeowners. Construction of the new Burnaby condos at Affinity by BOSA is expected to start in January. The first phase (the one hundred and thirty four homes in the 24 storey Affinity Burnaby high-rise) is expected to be complete in late 2011 or early 2012. The second taller tower at Affinity will follow about one year later. If you have any questions or would like more information about these new Burnaby condos for sale, please visit affinitybybosa.com and wait for news updates from BOSA Properties. Incredible Burnaby real estate value is now here in the heart of this bustling community at The Phoenix Condos. With one bedroom Phoenix Burnaby condominiums from $249,900 and two bedroom suites from $339,900, you can’t get beter value then this. A higher level of living is now coming to Burnaby real estate market place. 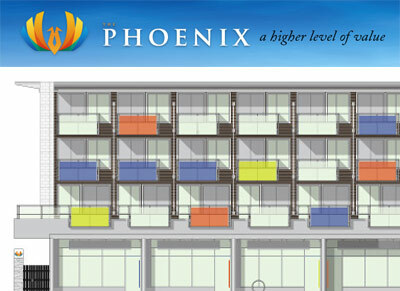 DIMEX Group is proud to introduce a landmark Burnaby condo development for the decade… The Phoenix Condos. A name that reflects the new contemporary style of affordable condominium living in South Burnaby real estate. With finishings and attention to detail that soar above the crowd, please take the time to explore the New Phoenix Burnaby Sales Centre and Show Suite that is now located at 5368 Grimmer Street, Burnaby. Located just steps away from Fitness World, White Spot, safeway, London Drugs, VanCity and Royal Oak SkyTrain Station, the new Phoenix Burnaby condos are also within a short walk or drive to Metrotown Mall. Please call for a private viewing… you won’t be disappointed one bit! All new Burnaby homes for sale at The Phoenix condos come with the 2-5-10 Year National Home Warranty. Brought to you by the DIMEX Group, the presale Burnaby Phoenix condos are now here for homebuyers to choose from. The attention to all the small details, fine craftsmanship and superior quality finishes, the new Burnaby Phoenix condos are new homes with a higher level of urban condo living and value that you can now purchase at affordable prices. Sunlit interiors that are bright and airy in addition to open concept floor plans are just some of the impressive design details that homebuyers are delighted to find. In addition, these Phoenix Burnaby condos in the south area of the city will also have large windows, large outdoor spaces, solid value and much more. All of the Phoenix Burnaby homes will come with the National Home Warranty that will protect owners from everything in terms of their interior features as well as the building construction for 2-5-10 years. Just six blocks away from Metrotown, the new Phoenix condos in South Burnaby real esate market are also close to all of the restaurants that Lower Mainlanders have always loved in addition to being just a block away from Kingsway, a major thoroughfare through the city and Vancouver. Also, the SkyTrain is just moments away that can take you to downtown Vancouver in less than 15 minutes. From shopping to local services, the Phoenix Burnaby condos are all about location. Also nearby are multiple highly rated schools, restaurants, fitness facilities, the recreational centres and banks. The grand opening in December 2009 was a great success with a high turnout. With the two bedroom show home available for viewing and completed, many homeowners have already purchased their new Phoenix Burnaby condos at pre-construction pricing, so it’s now your turn. Brought to you by VMG Project Marketing, speak with John or Fred today for advanced previewing and available suite information. The South Burnaby Phoenix condos are now here and selling out fast! Register online to inquire about more details about the project. The new South Burnaby condo development consists of four floors with 18 penthouse suites for sale. The corner suites include Penthouse 1 that is three beds and two baths for 1126 sqft in addition to Penthouse 7 which is 2 bed and 2 bath at 830 sqft. On the other side of the courtyard, the presale South Burnaby Phoenix condos on the corners include 2 one bedroom suites at Penthouse 18 and 8 which are both one bathroom and 645 and 608 sf in size. Essentially, one side of the condo development features spacious 2 bedroom floor plans while the other side of the Burnaby Phoenix condos for sale are mostly one bedroom suites, providing a great mix of layouts for singles and couples. The first floor is slightly different, which provides both the 2 bedroom side of the complex but commercial space on the other side. There are four commercial spaces available at the new Phoenix Burnaby real estate development that are along Grimmer Street and are between six hundred and twenty five to one thousand one hundred and forty seven square footage. The parking entrance is also along Grimmer Street, Burnaby. For additional information regarding the new Phoenix Burnaby condo development, please refer to their marketing site online at www.phoenixburnaby.com. You can also call Fred at 604.631.0838 or John at 604.435.9477 for more details about floorplans, available suites, commercial units and features/finishes of the condominiums for sale. DIMEX Group and VMG Project Marketing. Presale Burnaby Apartment Sale – GREEN Burnaby Condos Spring Collection Launching! Happy New Year & Welcome to 2010 - Celebrate with Us at the GRAND OPENING of our highly anticipated Burnaby GREEN "SPRING" Collection of luxury condos - 1, 2, and 3 bdrm affordable Burnaby Apartments for sale starting from just the $290's*! The grand release of Burnaby GREEN apartments for sale is Saturday January 16, 2010, so mark it on your calendar. Also, RESERVE YOUR NEW BURNABY GREEN HOME TODAY - PREVIEW NOW! Not only is GREEN Burnaby Spring Collection one of the most successful new projects in Burnaby real estate marketplace, but it is an international Award of Merit winning project as well. The success has driven presale Burnaby GREEN Spring Collection of condos as a leader in local building starts and we now proudly have more product to offer. *As a Burnaby GREEN Condo VIP we are giving you the opportunity to beat the crowds, PREVIEW our newest (and most anticipated) Spring Collection, and reserve your home before everyone else arrives at the Spring Collection Grand Opening of the pre-construction Burnaby GREEN condo development* All of our most popular new Burnaby homes for sale and locations, are now available again in this Spring Collection by Adera Developers. Eco Savvy and Naturally Sustainable Burnaby GREEN Condos Now Selling! Live West Coast! 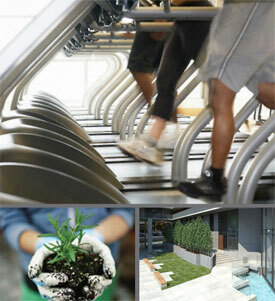 Play hard outdoors and live well indoors here at the naturally sustainable eco-savvy Burnaby Green condos by Adera. That’s why you live on the West Coast. And that’s why Green Burnaby Condos feature bike and car wash stations – so you can live West Coast the way you want to. Situated right by Byrne Creek Park eco preserve, the Adera Green Burnaby condo development has stellar bike riding and proximity to rapid transit which lets home owners commute sustainably to work and play. Close to southpoint and Griffths Avenue, the eco savvy Adera Green Burnaby condos for sale start from less than $300,000! Learn more at adera.com today. Winner of some prestigious awards including Georgie Awards’ Most Innovative and Sustainable Community in addition to the BC 2009 Residential Community of the Year, the eco savvy Green Burnaby condos are truly sustainable, healthy and environmentally friendly with Gold Built Green status. 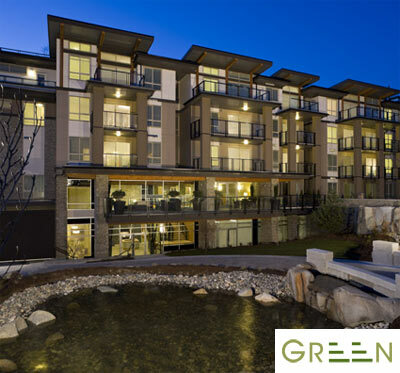 The eco footprint of these Green Burnaby condominiums is truly outstanding with low VOC paints, low VOC carpeting, solar panel arrays to heat domestic water, energy saving fluorescent bulbs and motions sensors for common area lighting. The close proximity to transportation, local services and amenities and downtown Vancouver also make these truly sustainable Burnaby condos. Eight minutes from Burnaby’s Metrotown shopping and SkyTrain station and just 25 minutes to downtown Vancouver, the eco friendly Burnaby Green condos by Adera are centrally located for today’s savvy homebuyer. The two storey amenity Seasons Club at GREEN Burnaby real estate development also features many on site amenities so that you can play right at home. The Burnaby GREEN Seasons Club amenities include a double sided fireplace, lounge with soaring floor to ceiling windows, library, games room, pool table, fully equipped fitness gym, infrared sauna and second floor entertainment lounge with catering kitchen. Just seconds away from your eco savvy and naturally sustainable GREEN Burnaby condos by Adera are the Riverway Sports Complex, Cactus Club Restaurnat, Market Crossing Centre, Public Golf Courses, Byrne Creek Ravine Park and much more. 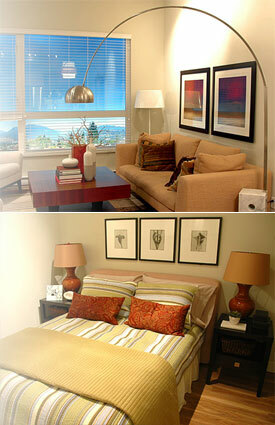 The eco friendly GREEN Spring Collection of new Burnaby condos is now selling! Certified Built Green "GOLD" Burnaby real estate condo community packed with sustainable benefits known as the "triple bottom line" - direct financial benefits, personal benefits, and social benefits related to environmental responsibility and healthy living including a fleet of Cooperative Auto Network vehicles. This is the first Burnaby real estate devleopment of its kind, and these truly Built Green Burnaby condominiums will provide healthier, more sustainable living spaces for residents and homeowners. In addition, the intrinsic value of these new Burnaby GREEN condos will keep its value over time, allowing you to reap the benefits of lower maintenance, energy and water efficient homes for generations to come! The Burnaby GREEN condo development is ocated in the geographic centre of the GVRD next to an 80-acre eco preserve with an active salmon spawning creek and miles of pathways for walking, jogging, or biking. Here, residents can enjoy everything that the natural untouched environment offers, and these new GREEN Burnaby condominiums are just an unmatched homebuyer opportunity for those who respect and believe that Built GREEN has a long term and everlasting effect on your general well-being and that of those around you. The master planned Adera GREEN Burnaby condo devleopment is also located just 5 minutes from the SkyTrain and within walking distance of major shopping and amenities. This allows you to keep your car at home and take public transportation. Save on gas, save on owning multiple vehicles and simply walk to all services and amenities. The Built GREEN Gold Burnaby condos are extremely affordable homes for sale, packed with value, located in a quiet, exclusive neighbourhood near everything, and built by Adera one of the most trusted developers in Vancouver, backed by 40-years of award-winning customer service. In addition, all home buyers can enjoy the 24-hour Resident Concierge for your service! More information about previous phases of the masterplanned Built GREEN Burnaby condo development is located here. We don't want you to miss out. We look forward to seeing you soon – The Presentation Centre and Sales Gallery for the Spring Collection of Burnaby GREEN condos for sale re-open January 2 in advance of the GRAND PUBLIC OPENING! Sincerely, Adera GREEN Sales Team at 604.439.8858 or green@adera.com. The Built Green Burnaby Condo Sales Presentation Centr is located on site at 7488 Byrnepark Walk (at Southpoint Drive), Burnaby real estate market. *Certain limitations apply. Contact a sales representative for details. Sales by Disclosure Statement only. 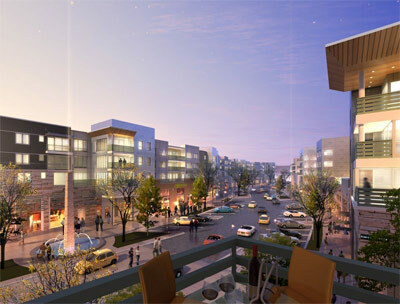 * Here are more details about the BuiltGREEN Burnaby condominiums by Adera Developers. Washington Real Estate Opportunity - Retirement Property or Investment - Presale Kenmore Copper Lantern Homes for Sale from $161k! Once in a while, we feature a Washington real estate development for you that we believe is great value for your investment and a great home if you’re looking towards moving down south. We’ve got one for you at the new Kenmore Copper Lantern Homes for sale. You can own a home! Put down Roots. Copper Lanten Homes gives first time homebuyers who meet certain income qualifications, the opportunity of homeownership in Kenmore real estate market. Minutes from the beautiful shores of Lake Washington and the Burke Gillman trail, the new Kenmore homes for sale at Copper Lantern Homesare centrally located in the City of Kenmore. Copper Lantern Kenmore homes are also within walking distance of grocery shopping, restaurants, and the Metro Park and Ride. Visit today and discover how your dream of Kenmore Seattle homeownership is within reach. The three bedroom Cooper Lantern Homes in Kenmore real estate market place start from just two hundred and twenty four thousand five hundred dollars. For those who require four bedroom Kenmore Homes, the Copper Lantern townhomes feature price points from just two hundred and forty thousand dollars. There are also special zero down financing available to qualified home buyers. The three and four bedroom floor plan layouts are functional and open. There are great room style open floroplans at the Cooper Lantern Kenmore townhomes for sale and the finishes include maple wood cabinetry, outdoor decks and entry patios in addition to energy star fridges and appliances throughout. Also available at the new Kenmore Copper Lantern Homes include energy efficient hot water heater, green label plus carpet and hardwood flooring and tiled entry way. Other Copper Lantern Kentmore homes for sale include spacious walk in closets, tiled entries, and lots of storage areas. Not only that, but the central location of the Cooper Lantern Homes in Kenmore real estate market are within walking distance to shopping, park and ride, and many outdoor green spaces in addition to protected open space and playground area for kids. Also, there are private parking spaces available to homeowners here at the presale Kenmore Cooper Lantern townhomes for sale. 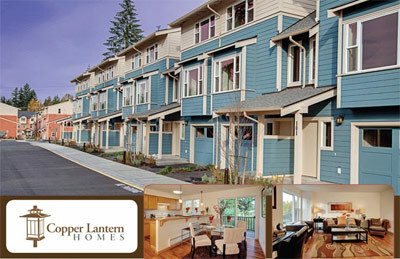 The Copper Lantern Townhomes in Kenmore Washington is a special government housing program sponsored by King County, the City of Kenmore, Kirkland, State of Washington and Woodinville. The number one Kenmore real estate neighborhood is here at the Copper Lantern Townhomes for sale with one bedroom homes starting from just $161,920, two bedrooms from $199,500, three bed homes from $224,400 and one remaining four bedroom townhouse from $240,000. Providing a great return on investment and a great central locale close to schools and commuter routes, the new Kenmore Copper Lantern Homes for sale also provide 0% down financing availability and an eligbilty for up to eight thousand dollar tax credit. The sales office for the new Kenmore Copper Lantern homes for sale are open weekends from eleven to five and you can speak with Arnold for more information. Best of all, you can move-in today! What colour is your future? When building a BC home, chose methods that can save you energy, improve in door air quality as well as conserve water. Build Green TM BC is a voluntary program managed by the Canadian Home Builders’ Association of British Columbia. With the aid of a Certified Energy Advisor and specially designed Builder Training, the builder is guided on how to build a sustainable, more energy efficient and comfortable home. Once completed, each home is tested, certified and labelled as a Build Green TM BC home, saving you energy and money for years to come. It is not just the higher standard of construction, the trained and certified professionals or the long term cost savings, it is also the knowledge that you have made the right choice for your family and your world for today and tomorrow. All it takes is deciding to work with a Build Green TM BC Certified Builder. The Certified Build Green TM British Columbia Home involves advantages that really add up and are built employing building practises such as waste reduction management and recycling, providing a comfortable steady temperature no matter what’s going on the outside. The Build Green TM BC homes also have improved indoor air quality by using interior building materials that reduce the sources of indoor air pollution and they use products with a reduced environmental impact. Lastly, the Build Green TM BC homes save energy and money now while increasing the value of your home later. Polygon's Spyglass Delta Townhouses - Only 6 Homes Left in Phase I! Greetings from Spyglass, Polygon’s latest collection of North Delta townhome residences at the landmark master-planned community of Sunstone Community. Our Spyglass Delta townhouse sales centre has continued to be a hub of activity since our recent opening. In fact, I am pleased to announce that only 6 new Delta homes now remain in Phase I of Spyglass at Sustone townhouse development by Polygon Homes! With over 40 of these Spyglass Delta townhome residences having sold in the last two months, these remaining four-bedroom affordable Delta homes will not last long! In addition to bringing with them the convenience of approximately 2,050 square feet of open-plan living space with private fenced yards, side-by-side double car garages, and access to over 12,000 square feet of amenities at the exclusive Sunstone Club, these Delta Spyglass homes also represent the final opportunity to own at Spyglass at Sunstone before the new BC HST takes effect! I encourage you to come visit us again soon to ensure that you do not miss out! As a reminder, our Spyglass at Sunstone Delta Townhouse sales centre is located at 8355 Delsom Way in Delta, and is open noon – 6pm daily. In the meantime, should you have any questions, please do not hesitate to contact me directly at 604-588-8153 or by email at spyglass@polyhomes.com. Warmest Regards, Polygon Spyglass Homes Ltd. Polygon Nordel Development Ltd.
Polygon's Spyglass Delta Townhomes Preview Opportunity Begins this Saturday! Thank you for your interest in Spyglass, Polygon’s latest collection of presale Delta townhome residences at the landmark master-planned community of Sunstone in North Delta real estate market. As the sales manager for our past Sunstone communities of Radiance and Cardinal Pointe, I am very excited to be back in the new Sunstone Delta real estate community again as we prepare for the opening of Spyglass Townhomes next month! In anticipation of our upcoming Spyglass Townhomes at Sunstone Delta townhouse sales opening, I have set up a temporary office at the Sunstone Club. I would like to invite you to stop by for a visit to see our beautiful new Sunstone Delta clubhouse for yourself, preview available floorplans at the Delta Spyglass Townhome development, and learn more about this much-anticipated new community. Following the huge success of our first two townhome communities at Radiance and Cardinal Pointe here at Sunstone, much interest has already been generated in this upcoming collection of presale Delta Spyglass townhome residences, which will range to over 2,100 square feet and feature East Coast shingle-style architecture and the latest in designer finishings. Residents of the pre-construction Spyglass Delta real estate development will also enjoy membership to the exclusive 12,000 square-foot Sunstone Club. This incredible Sunstone clubhouse hosted over 300 Sunstone people for its grand opening in December, and homeowners raved about the exciting amenities that were theirs to enjoy! Commencing this weekend, the presale Delta Spyglass Townhome presentation centre and sales team will be in the clubhouse from noon to 5pm everyday except Fridays, and the address is 10720 Delsom Crescent. In the meantime, should you have any questions, please do not hesitate to contact me directly at 604-871-4189 or by email at spyglass@polyhomes.com. I look forward to seeing you soon! Sandra, Sales Manager at the North Delta Spyglass Townhomes at Sunstone Community located at 10720 Delsom Crescent, Delta. Phone: 604.871.4189 or Email: spyglass@polyhomes.com. 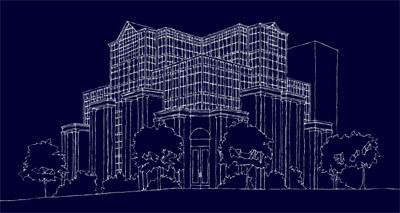 Official Launch of new Spyglass Delta Townhomes is coming February 2010! Previews start now! The Sunstone Club is already open! Come see for yourself. Please find below a selection of our available North Delta Spyglass Townhome floorplans, as well as a site plan and features sheet for this new Polygon Homes real estate development. Firstly, the spectacularly designeed and functional floorplans of The Aerial Series includes the A Plan which is a three bedroom Delta townhouse with approximately one thousand three hundred and thirty square feet in interior living space over three levels. All 3 bedrooms are on the top floor along with the master ensuite (with separate soaker tub and shower, and two vanities) in addition to a second bathroom up top. The A floorplan here at the Polygon Spyglass Delta homes for sale also has a powder room on the main level and a tandem garage in the basement level. The A1 Plan at the presale Polygon Spyglass Delta homes for sale is also a three bedroom layout with about 1,350 sq. feet in living space. The main difference is the open style galley kitchen on the one side of the layout with the dining and living rooms separated on either side. The North Delta real estate development at Spyglass by Polygon also features the Biela Series of presale opportunities. The B Plan is a spectacular Four Bedroom North Delta home for sale at Spyglass by Polygon and features almost two thousand square feet of interior living space. There are 3 bedrooms upstairs along with a large walk in robe, master ensuite and second bathroom in addition to a powder room on the ground floor. There is an extra bedroom in the lower flooor. In addition, the presale Delta homes for sale at Spyglass Townhomes by Polygon Homes features the B1 Plan which is also 4 beds and is 2050 square feet in size. One of the great advantages of the presale North Delta Spyglass townhome community is that Polygon real estate developers have designed the neighbourhood in clusters of three or four homes per building. This allows for more open spaces, end units and large homes for sale. We will be open for sales on Saturday February 6th at noon. Sandra and myself will be at the Sunstone Clubhouse every weekend leading up to the 6th from noon to 5:00 to answer any questions you may have prior to sales at the Spyglass Delta Townhomes by Polygon Homes. In the meantime, should you have any other questions about the North Delta Spyglass Homes by Polygon, please do not hesitate to call 604-871-4189 or send us an email at spyglass@polyhomes.com. Greetings from Spyglass North Delta townhomes for sale! Thank you for registering your interest in Spyglass Townhouses, Polygon’s latest collection of luxury townhome residences at the master-planned community of Sunstone in North Delta real estate market place. The presale Delta Spyglass Townhomes for sale will offer for sale a collection of spacious three and four bedroom family sized townhomes with distinctive design and rich interior finishing details. 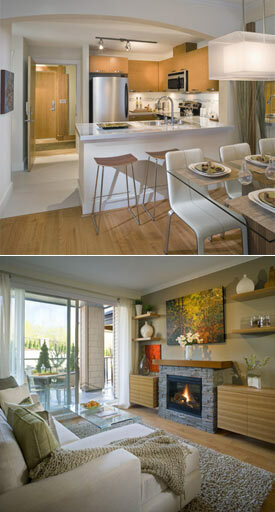 Sales at Spyglass Delta townhomes will commence in Spring 2010 with finished display homes. As a pre-registrant, you will be among the first to receive new information as it becomes available about this new pre-construction Delta real estate development. In the meantime, should you have any questions, please do not hesitate to call me at my direct line, 604-871-4145, or send me an email at spyglass@polyhomes.com. Sincerely, Shawna, Corporate Sales Coordinator at the Polygon Delta Spyglass Townhome development. Polygon Home’s latest collection of North Delta Sunstone townhomes is now here! Introducing the Spyglass Sunstone townhomes, a collection of three and four bedroom homes featuring East Coast, shingle style architecture accented by glabed roof lines, covered front porches, and beautiful Juliette balconies in most floor plans. The North Delta Spyglass Townhomes at Sunstone community boasts open concept floor plans with designer finishings, main floor powder rooms, inviting decks and entertainment patios. In addition, there are generous walk in clsoets and double car garages in these pre-construction Delta Spyglass townhomes for sale at the master planned Sunstone neighbourhood. Home buyers at the Spyglass by Polygon homes will have access to the twelve thousand square foot Sunstone Club, which is an five star resort inspired club house that features a fully equipped fitness gym, fireside lounge, outdoor pool and spa and theatre room in addition to guest suites for your visitors. The Sunstone Delta Spyglass Townhome community is just minutes away from Watershed Park, tonnes of highly ranked schools, shopping, public library, community centres and services. For more information about the Spyglass North Delta townhomes for sale, please visit polyhomes.com today or call 604.871.4189. For more information about Cardinal Pointe at Sunstone Delta Community click here. For more details about the North Delta Radiance at Sunstone Townhouses, click here. Introducing Polygon’s latest collection of North Delta townhomes for sale at the master planned community of Sunstone in Delta real estate market place. A collection of three and four bedroom Spyglass Delta Sunstone townhomes featuring East Coast, shingle style architecture accented by gabled roofs, covered porches and Juliette balconies, the pre-construction Delta townhomes at Spyglass Sunstone townhouses boasts open floor plans with designer finishes, main floor powder rooms, generous walk in closets, double car garages and inviting decks and outdoor living spaces. Home owners here at the pre-construction Delta homes at Spyglass Townhomes also have exclusive access to the 12,000 square foot Sunstone Club, a resort inspired club house featuring an outdoor pool and spa, fireside lounge, fully equipped fitness centre, movie screening room and guest suites. For more information about the Polygon Spyglass Townhomes at Sunstone North Delta community, please visit polyhomes.com or call 604.871.4189 today. Coming soon to the North Delta real estate district is Spyglass at Sunstone, featuring welcoming East Coast shingle style heritage architecture by Polygon Homes. A collection of stunning 3 and 4 bedroom townhomes at Sunstone Delta, Polygon’s most popular master planned community will introduce fabulous executive family Spyglass townhouses for sale in a central location close to shopping, walking trails, schools and all commuter routes. In addition, all homeowners at the North Delta Spyglass Sunstone townhomes will have access to the exclusive 12,000 square feet clubhouse. Register today. Here are some of the impressive features at the North Delta real estate development at Spyglass by Polygon. The stylish and distinctive Delta homes for sale include a design by award winning Formwerks Architectural Inc. with East Coast style shingles architecture, articulated wood detailing, gables, covered decks and patios. For some end suite units at the pre-construction Delta Spyglass Townhomes, you will discover impressively large bay windows, picket fencing, entry gates, tandem or side-by side double garages and cultured stone monuments and paveways throughout the entire community. The Spyglass Delta Sunstone community will also have the Sunstone Club with over twelve thousand square feet of amenities in addition to being centrally located within the North Delta real estate community. The entry foyers are large and roomy and there are electric fireplaces in every Spyglass Sunstone Delta home for sale. Not only that, but most townhomes will have eight to nine foot ceilings plus professionally selected colour schemes to choose from. There are mouldings throughout in addition to electric baseboard heating and individually controlled thermostats. The bathrooms at the North Delta Spyglass Sunstone townhomes for sale are amazing with dual flush toilets, tiled flooring, pedestal sinks, soaker tubs and large vanity mirrors. The kitchens at the new Delta homes at Spyglass Townhomes in Sunstone Community feature over height cabinetry, satin nicket pulls, rich laminate hardwood flooring, polished granite counters and a full appliance set in addition to lazy susan and kitchen island storage. All new Sunstone Delta Spyglass townhomes will come with the Comprehensive Travelers Guarantee Company of Canada insurance including two years for materials, five years for building envelope, and ten years for structural defects. There are hookups for washer and dryer, built in closet shelving, lots of storage, hose bibs, internet connections and much more. Polygon's Spyglass at Sunstone Delta Townhome Community Opens this Saturday! Greetings from Spyglass Delta Townhouses for sale, Polygon’s upcoming collection of townhome residences at the landmark master-planned community of Sunstone in North Delta real estate marketplace. I am excited to announce that after much anticipation, we will be opening for sale at Spyglass Delta Townhouses for sale this Saturday, February 6th at noon sharp! Much interest has already been generated in this charming collection of three and four bedroom pre-construction Delta Spyglass at Sunstone townhomes, which offer a versatile selection of family sized and spacious floor plans ranging from 1,350 – 2,050 square feet and feature spacious open-plan interiors, double car garages, main floor powder rooms, inviting decks or patios, designer kitchens boasting warm wood flooring, polished granite countertops and sleek stainless steel appliances, and membership to the exclusive 12,000 square-foot Sunstone Club! I strongly encourage you to arrive early on Saturday to ensure that you do not miss out on your opportunity to own the new Delta home for sale you want at Spyglass at Sunstone community! We will also be unveiling our three stunning Spyglass Townhouse display homes, and hosting a barbeque lunch with live entertainment in the Sunstone Club! As a reminder, our sales centre and three display homes are located at 10720 Delsom Crescent in North Delta real estate market place. In the meantime, should you have any questions about the pre-construction Delta Spyglass at Sunstone townhouses for sale, please do not hesitate to contact me directly at 604-871-4189 or by email at spyglass@polyhomes.com. I look forward to seeing you on Saturday! Raicon Homes Presents the Fleetwood Surrey Hazelwood Estates – Only 10 Homes Remain! New to the Fleetwood community in the Surrey real estate market are the Raicon Hazelwood Estates Homes for sale. These amazingly located homes are generational and offer large houses that will allow families to grow. In addition to the size of the Hazelwood Surrey Estates for sale, they are also situated along quiet residential streets, meaning that noise will never be a problem for you and your family. Just next to numerous parks and green spaces in addition to the beautiful Fleetwood Park, the Raicon Surrey Hazelwood Estates Homes for sale feature efficiency and quality of construction not seen in the Fleetwood market place for some time now. Contemporary yet timeless design is what Surrey homebuyers can expect to find with building lots around sixty one hundred to almost eight thousand square foot lots. The interior floor plans of these Hazelwood Estates Surrey homes for sale range up to thirty eight hundred square feet, making them very spacious and functional for today’s home buyer. Many of these floorplans contain four bedrooms plus space for a media room and office space. Best of all, you can buy your new Surrey home before the BC HST hits this summer. West Coast craftsman style architecture are featured throughout and with rear facing lots with gardens and back yards in addition to garages and cul-de-sac lots, there is certainly many homes to choose from here at the Hazelwood Estates Fleetwood Surrey real estate development by Raicon Homes. Some of the significant features here at Hazelwood Surrey Estate homes include sixteen foot ceilings in living rooms and the overheight nine foot ceilings elsewhere. Also presented are luxurious granite counters and stainless steel GE appliance package as well as luxurious ensuite bathrooms with porcelain tiles, soaker tubs, crown mouldings, baseboards aand no upgrades at all necessary. There are only 10 homes remaining at the Raicon Hazelwood Estates Surrey homes and the price range is between $725k to $749k. All of these new Surrey homes for sale have finished basements as well. More information about the Surrey Hazelwood Estates is located here. Located in the Surrey real estate Panorama neighbourhood, the Gables Homes at Sullivan Ridge is a new collection of 65 pre-sale single family homes boasting four bedrooms and designed with upscale finishings including solid maple cabinetry, granite counters, and spa inpired ensuites that give you a truly urban living experience at an affordable price. Building on the success of The Highlands at Sullivan Ridge, the new Surrey Gables at Sullivan Ridge real estate development also offers a location that’s tough to beat for convenience here in the Panorama Surrey neighbourhood – just minutes to shopping, restaurants, golf, and the YMCA leisure centre. Prices for the new Surrey homes for sale at the pre-construction Gables at Sullivan Ridge single family houses are anticipated to range from the $589,900 range with GST included with your new home purchase. For more information about the new Surrey Gables Homes at Sullivan Ridge property development and to priority register, please call 778.565.1865 or visit www.marathonhomes.ca for all the details online. You can also stop by the current Highlands at Sullivan Ridge show home that is open from noon to 5:00pm daily except Fridays. You can ask the sales staff there regarding the new Surrey homes at the Gables at Sullivan Ridge real estate development at 14589 – 60A Avenue in Surrey. Be sure to watch for the opening fo the Gables at Sullivan Ridge dedicated showhome coming soon. Brought to the market by the boutique Surrey real estate developers, Marathon Homes, the new Gables at Sullivan Ridge single family Surrey homes for sale are now launching. With a price range from just under $600,000 for luxurious Surrey homes, the Gables Homes are definitely some of the most prestigious and unique offerings on the market right now. The Gables at Sullivan Ridge Surrey real estate development features modern finishes and features but in a traditional single family home setting. Peaceful and quiet neighbourhood walkways and streets and a safe community are just some features of this new area. In addition, this is a limited time offer with only a handful of presale Surrey homes for sale. Some of the interior features that you may be interested as a Surrey home buyer includes: two and three bedroom fully finished basements in addition to vaulted accent ceilings with an average ceiling height of nine feet. Also, these new Gables at Sullivan Ridge Surrey homes for sale feature detailed millworking and finishes in addition to premium flooring. No detail has been left out and the kitchens not only feature high-end cabinetry, but also full granite counter tops. Local amenities are also very attractive for couples and families, with schools, grocery stores, movie theatres, services, banks and other entertainment close by. The new Gables Homes at Sullivan Ridge Surrey real estate development is also nearby restaurants and dining options for the family. Right now in the presale phase, these new Surrey Gables Sullivan Ridge homes for sale feature traditional architecture, stone accents, concrete patios and professionally landscaped front and back yards. The inside of the homes features three different colour palettes in addition to laminate hardwood flooring, plush carpeting in the bedrooms, and functional/durable tile in the laundry areas. There are wood staircases, white panel interior doors and decora light switches throughout. In addition, the gourmet kitchens at the presale Surrey Gables Sullivan Ridge homes for sale will have maple cabinetry, open style eating areas, premium imported Italian tile, granite counter tops and under cabinetry lighting. There are full height backsplashes and high-end stainless steel appliance package included in every home sold here at the Gables at Sullivan Ridge real estate development. Bedrooms are expansive and the spa inspired bathrooms have large soaker tubs, chrome faucets and framed mirrors. All Marathon Homes here at the Gables at Sullivan Ridge Surrey single family houses will have the National Home Warranty. Some of the standards that are usually optional upgrades in other Surrey developments include rough in for gas stove oulet, air conditioning, central vac system, security system and outdoor gas barbeque outlet. There are also finished basements with secondary dryer venting and laminate wood floorig in the basements of the presale Surrey homes at Gables at Sullivan Ridge. The new Highlands at Sullivan Ridge Surrey Homes for sale are now on the market, presenting spacious layouts and a great location. From overheight ceilings and windows, to open plan gourmet kitchens and from generously sized master bedrooms to spa inspired ensuite bathrooms, the Surrey Highlands Homes at Sullivan Ridge real estate development is one of Marathon Homes’ best communities. With yards and outdoor living spaces and from professionally landscaped and carefully manicured green spaces, the community at the Sullivan Ridge Highlands Homes is nearing completion and ready for homebuyers to preview. You can now live close to shopping, dining, parks and schools, and this single family Surrey home development by Marathon Homes is located right at 146 Street and 60 Ave. The presale Surrey Highlands at Sullivan Ridge homes are in an up and coming neighbourhood that offers top rated schools, performing arts centre, shopping malls, movie theatres, dining options and lots of park spaces. The entire master planned Surrey home community at the Sullivan Ridge Highlands homes only features one hundred and sixty five opportunities for homebuyers and the layouts range from three to five bedrooms with generous lots, porches, yards and quality. All of the new Surrey homes for sale will feature the TJI engineered silent flooring in addition to high efficiency heating system, R-20 insulation, maintenance free thirty year shingle roofing, reinforced concrete foundation and dimpled plastic membrane damp roofing, all very expensive finishes in these high-end new Surrey homes for sale. In addition, the Surrey Highlands Homes at Sullivan Ridge will present front verandas, back yards, family rooms, large open plan kitchens, lots of great lighting, granite, islands, and imported Italian tiling. Other features include walk in pantries, large bedrooms, spa inspired and luxurious baths in addition to double vanities, stand alone showers and deep soaker tubs. Marathon Homes presents the Highlands at Sullivan Ridge Surrey homes for sale right now that come with a 2-5-10 Home Warranty in addition to a roughed in oudoor gas outlet, security system, central vac system and air conditioning. The three bedroom Surrey homes for sale start from the mid-$500s. The four bedroom Highlands Surrey Homes at Sullivan Ridge community are featured from the high-$500s. South Surrey Real Estate - The Residences at Morgan Crossing are now completed! Ready to move-in Surrey condos, townhomes for sale! The South Surrey real estate development at the Residences at Morgan Crossing are now finished and ready to move into. Main Street of The Village at Morgan Crossing is open, exterior construction is complete and we’re looking forward to having The Shops at Morgan Crossing open in Spring 2010. If you are looking for a unique community to call home, Morgan Crossing South Surrey condos and townhomes for sale might be a fit for you. Morgan Crossing isn’t just a different place to live in South Surrey real estate community; it is the choice of a different way of living – the “anti-suburb”. Instead of endless lines of conformity, it is a collection of thoughtfully placed residential, retail and office buildings, designed to create opportunities to bring people together on their own terms. Rather than partitioning your life into lots of different places that condemn you to drive between them Morgan Crossing South Surrey real estate development brings the elements of your life together. It’s the only place to live that lets you be the designer of your day. Whatever your individual mix of work, shopping, fitness, friends, dining or just being is; this is where you mix then accordingly. How you live at South Surrey Morgan Crossing condo community is entirely up to you. But you will live! 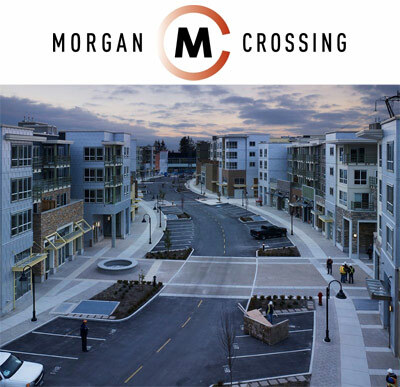 If you’re tired of living in Boringville, consider Morgan Crossing- a new and exciting life inspired by the European way of South Surrey condo living where shopping, fitness, recreation, dining and fun are just footsteps from your front door. It’s the anti-suburb. So don’t settle for boring, demand living at Morgan Crossing. Now open and move-in ready. Presentation Centre: Open daily (except Fridays) noon – 5pm. The Residences at Morgan Crossing Surrey real estate development is located at 15879 24th Ave, South Surrey, west of 160th St. The Morgan Crossing Presentation Centre will be open by appointment only from December 24th to January 1st. To make an appointment, please call 604-582-1336. We will be back to our regular hours at 12 noon on Saturday January 2nd, 2010. Happy Holidays from the South Surrey Morgan Crossing Team! Sandra & Liz - The Morgan Crossing Team, Fingerprint Strategies Inc. Visit ww.morgancrossing.ca for more information. The Morgan Crossing master planned South Surrey real estate development consists of three phases that have been released during the past few years. The first was The Point at Morgan Crossing, which features spacious one bedroom floor plans from 720 square feet to the largest South Surrey residence for sale in this phase, Plan E3, which is three bedrooms and a spacious 1216 square footage. The Main at Morgan Crossing Surrey condos for sale features one bedrooms also from seven hundred and twenty square feet, many two bedroom layouts (some with dens), and another family sized Plan E4 3 bed suite at 1237 sq ft which is also a desirable corner suite. Last but not least are the new South Surrey Central at Morgan Crossing residences that features smaller one bedroom layouts starting from approximately six hundred and thirty four square feet, a few two bedroom suites and Plan D1 and D3 which are 2 bed and den units with square footages at 1064 and 1144 square feet respectively. There are no three bedroom units at the Central Morgan Crossing Surrey condo phase.